Over school breaks I work in childcare at my local YMCA. I love the kids and their endless imaginations, especially when they’re younger and mostly unhindered by the fads of technology. The older kids (and by this I mean 8 to 12ish) have a tendency of bringing in their Gameboys and Cell Phones. They want to show off, especially the ones with phones (why on earth an 8-year-old needs a cell phone is beyond me, and I will not get into that discussion right now). Growing up primarily in the 90s, my older brother and I coveted our video games, but there’s no doubt that as the years pass, the craze of technology is targeting younger and younger audiences. Because of what I’ve seen, I really shouldn’t have been surprised to find out that there are social networking sites for children (13 and under)…but I was. I first heard about this phenomenon when I read a headline that I thought indicated that Disney was starting a social networking site for children. Well, this was too much for me, and I couldn’t help but click the link to the article. Upon reading the full story, I realized that Disney was not starting a network, they were purchasing one that was already in existence. Worse yet, this site, known as “Togetherville,” is just one of many such networks! According to an article (from last year, no less) off of Mashable.com, the Children’s Online Privacy Protections Act (COPPA) prohibits social sites to collect personal information from children under the age of 13 without parental permission. And yet, as a tech-saavy generation, many kids have learned to bypass this law…by simply lying. The key to this site is the role a parent plays– they help sign their child up, create a profile for their child, and are even responsible for picking out the child’s friends by sending email invite. Information on the site is limited to child-friendly material– YouTube videos, games, and projects. In many ways, this site is a Facebook Jr. Instead of ‘liking’ something, a child can ‘heart it.’ They can also buy and sell items using virtual money that their parents, free of cost, can give to them; this is called an allowance. To safeguard their audience, which is primarily made up of children under the age of 10, Togetherville stresses the importance of a parental figure. Children must also agree to a code of conduct: “I agree to not say anything mean or hurtful, not say embarrassing things about myself, my friends, or my family, and take responsibility for what I say on Togetherville.” By involving children in the application process such as this, one of the best lessons to come out of this site will certainly be the message it sends about appropriate internet conduct, especially in terms of internet bullying and safety. Lauded as the “most secure social network for kids,” parents are once again a key factor in registering their child. The main difference here, however, is that parents must submit their credit card information as well as three “mug shots” (taken with a webcam) to verify their identity. The intended market for this site is children ages 8 through 14. Drawing a slightly older audience than Togetherville, What’s What also gives the kids more freedom– they can interact with people they may not know in real life, but they can’t make friends outside of their age group (or grade year in school) without parental permission. In other ways, this site is again similar to Facebook– liking, making friends, joining groups, creating profiles. And, of course, parents have the control to edit or delete any information they may wish on their child’s profile. Of course, this site also asks for parental permission, but kids also get to play a part in the process of registration. The site asks for their birthday, favorite color, and first name. After joining, they are free to use the site much as we use Facebook, but with one MAJOR catch. The site is programmed so that only a given set of words are allowed to be used in a specific format. The site seems relatively secure, but possibly characterless due to its strict regulation. While the site may be fun for younger kids, older kids would quickly outgrow their stay. Per usual, parents help their children sign up, this time by either supplying the last 4 digits of their social security number, or by charging their credit card a grand total of one cent. Reviews say that the experiences on this site are most similar to those on mainstream social media sites. This means that a larger portion of older children prefer giantHello. Once again, the site mimics Facebook in several respects: the kids have “walls,” friends can comment, statuses can be updated, photos can be uploaded, and fan pages can be joined. Friends must be asked via email, or given an actual invitations– yes, I’m talking about on paper– featuring a code to enter to connect. Certain celebrities, including the ever exciting Jonas Brothers (or is that so one year ago of me?) have fan pages that are updated through their Twitter accounts. This is an interesting feature since it actually does connect them to a real social networking site, albeit a filtered one. Rather than asking for the constant approval and permission of parents, Skid-e kids relies primarily on staff moderators to keep the site secure. Photos are checked, messages are filtered, and stories are edited to make the site kid friendly. But the parental element is not completely eliminated– parents and kids alike are invited to create profiles. The site features plenty of free games, although many are introduced with ads. Kids can also upload videos, comment, message, and updated statuses. Skid-e kids tends to draw an older crowd due to the rebellious nature of 10 year olds who don’t always want to have to get their mom’s permission to make any move. While skeptical at first, on completion of reading the article, I have to admit my mind had been changed a bit. Perhaps these sites are beneficial, if only because they keep children off networks such as Facebook and Myspace, where the material is certainly not always G-rated. The sites also seem to strive to connect with parents, as well as children. I also really the concept of teaching children, at a young age, about proper online etiquette. Hopefully such an early introduction can help cut back on cyber-bullying by instilling a sense of respect and understanding. We live in a world of computers, and it’s only natural that this upcoming generation take to it from an even younger age. But still– sometimes it disturbs me to see the 6-year-old who refuses to go outside and play because he prefers his gameboy, or the 10-year-old texting some buddies from school. What do you think? I’m not trying to make social commentary, nor is this some guide to raising children– I’m honestly interesting in other people’s opinions. Perhaps someone has a first-hand experience? So…tell me about it? So what are the benefits to this PR and social media driven campaign? Well, most importantly, especially in comparison to modern-day advertising, employing social media is an effective and inexpensive way to drum up business. While the company has not released the monetary figures for the campaign, it can only be expected that, even with the cost of the reunions (an amount that has also not been as of yet released), this campaign will cost significantly less than past campaigns. Plus, the unique approach Tostitos is taking, and their initiative to embrace the social networking sites, shows forward thinking and is sure to catch attention. 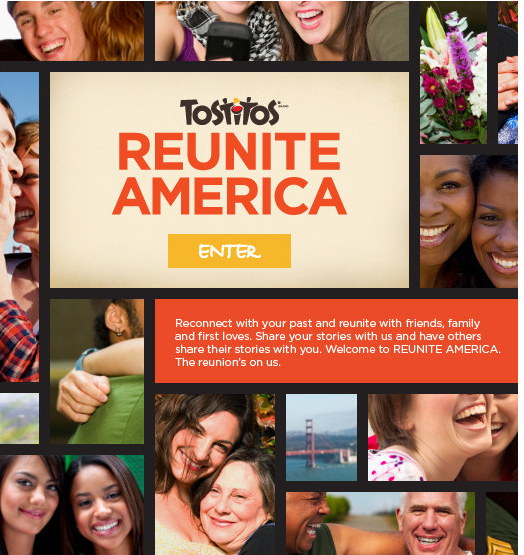 For more information on the “Tostitos Reunite America” campaign, visit the Tostitos Facebook page, or read the New York Times write-up here. Often I’m asked what possibly advantages Twitter has over Facebook. The error here is that people are so quick to compare the two social networking sites. Sure, they have similarities (for instance, I’ll often dumb down my Twitter explanation by comparing it to Facebook status updates), but they are also vastly different. I use Facebook to stay in touch with friends from home, friends from school, friends from abroad, and even the occasional soft-core stalking of people I haven’t seen since high school. While I do “follow” some of these same people on twitter, I look at twitter as a much different platform from which to conduct and access networking and communication. As I explained to my coworkers today, Twitter is beneficial for companies who want a way to send a quick message to employees or consumers. They can have multiple accounts– perhaps one for Customer support, another for internal communications, and still another with job opening postings. Having done a lot of work on twitter for a recent internship, I realized that most of the Fortune 500 companies are on twitter and have employed it in some of the ways I mentioned above. But there is much more to twitter than finding out the latest in news from Microsoft or big name car companies. Often the immediate appeal, especially for the youth or starstruck, are the celebrities that use twitter. I will admit that I was similarity drawn to twitter when I found out that I could be following these idolized individuals who we, the masses, usually view as so far away from ourselves, so separate. Twitter gives you a behind-the-scenes sort of view of celebrities– their thoughts, perhaps picture and video posts, what they’re up to, and usually all this goes public without the censorship of their badgering publicists. These sort of things have led to a number of fun scandals for the public (i.e. John Mayer, he was practically asking for it). I myself am a big movie and television buff. I like to see the behind the scenes footage, know what’s happening on set, and even catch up on my spoilers. For this reason, I follow a number of entertainment and film sites on twitter. Their 140 character headlines are sometimes enough, or else I’ll click a link or photo they may provide. I also follow my own brand of celebrities, including directors (such as Jon Favreau) who are always eager to give their most loyal audiences some sneak peeks. Of course, there are still other reasons to follow people on twitter, such as keep up with friends or getting the latest headlines, but the question often is– Why tweet? Honestly, I enjoy it. I enjoy coming up with 140 character witticisms that I hope my (few) followers enjoy. It also does come in handy for keeping in touch with my few friends who also tweet. I admit, I’m horrible at keeping in touch, even with all of the modern day advances in communication. And yet, despite my inability to sit down and send an email, I will ALWAYS check my twitter, where I find out that so-and-so got accepted to law school, or so-and-so really enjoyed some movie. These little tidbits are often trivial, but still help me stay connected– to friends, family, websites, news, and even the occasional celebrity. 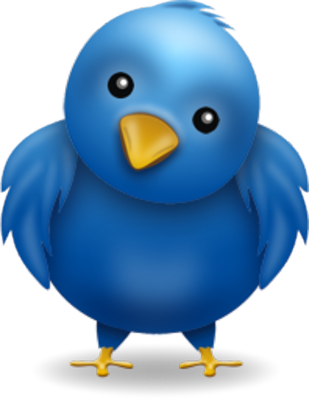 For companies, the “why tweet?” is obvious– for your business. 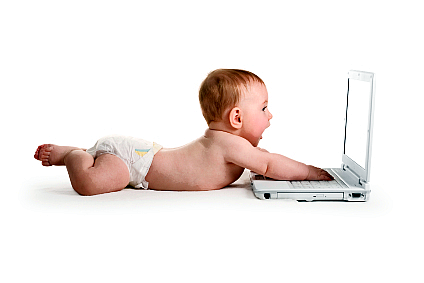 While studies show that the majority of twitter users are under the age of 30, they are also usually the most technologically advanced. For certain companies, this is exactly the market they are looking for. For other companies, a twitter account still keeps them in touch with this particular target audience. No business needs to completely devote themselves to their twitter account, but it certainly is a good way to keep clients and consumers updated. In crisis communication situations, a twitter account is also beneficial in maintaining a clear and open position. Sure, you could write a whole blog entry (like this one), or you could give multiple updates, as you get them, keeping your audience informed and up to date. Most recently, I heard that a heart surgeon has decided to employ twitter to give live updates as she performs open heart surgery. At first, I imagined some Scrubs-esque scene where a doctor tweets in between every task– that’s ridiculous, I thought. Then I realized that obviously the surgeon themselves was not tweeting (duh!). It eventually dawned on me that if I had a family member undergoing a difficult and life-threatening procedure, I would want constant updates on their progress. Imagine the countless hours people wait to hear the news, pacing back and forth, unable to settle down until they know the news. What if they could follow the surgery on twitter? Would that reduce their anxiety? Sure, there are probably several problems and possibly even ethical situations there. A few bugs to work out. But what an extraordinary idea. So if you use twitter for fun, for the news, for the business, or for whatever reason– enjoy it. It’s not Facebook. It’s not a blog. It’s its own site, with its own unique features to be explored and expanded on. Or perhaps it is the very simplicity of twitter that attracts so many of us. As I once tweeted: Twitter is perfect for people like me whose wit rarely reaches anything above 140 characters.